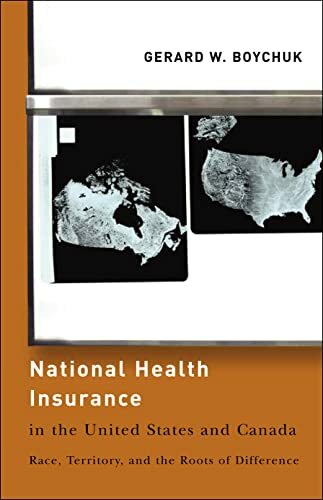 [PDF] National Health Insurance in the United States and Canada: Race, Territory, and the Roots of Difference (American Government and Public Policy) | Free eBooks Download - EBOOKEE! Posted on 2017-10-24, by luongquocchinh. Description: After World War II, the United States and Canada, two countries that were very similar in many ways, struck out on radically divergent paths to public health insurance. Canada developed a universal single-payer system of national health care, while the United States opted for a dual system that combines public health insurance for low-income and senior residents with private, primarily employer-provided health insurance - or no insurance - for everyone else.In "National Health Insurance in the United States and Canada", Gerard W. Boychuk probes the historical development of health care in each country, honing in on the most distinctive social and political aspects of each country - the politics of race in the U.S. and territorial politics in Canada especially the tensions between the national government and the province of Quebec. No comments for "[PDF] National Health Insurance in the United States and Canada: Race, Territory, and the Roots of Difference (American Government and Public Policy)".